Last Wednesday, May 4, billionaire bond manager Bill Gross (of Janus Capital) made waves when he endorsed universal basic income in his Monthly Investment Outlook – or, perhaps more accurately, declared a UBI to be inevitable. Virtually every industry in existence is likely to become less labor-intensive in future years as new technology is assimilated into existing business models. Transportation is a visible example as computer driven vehicles soon will displace many truckers and bus/taxi drivers. Millions of jobs will be lost over the next 10-15 years. But medicine, manufacturing and even service intensive jobs are at risk. Investment managers too! Not only blue collar but now white collar professionals are being threatened by technological change. He is critical of the idea, currently en vogue, that the appropriate response is to make higher education more accessible and affordable — submitting that a college degree might “better prepare students to be contestants on Jeopardy” but not necessarily lead to better jobs or more economic growth. Instead we should spend money where it’s needed most – our collapsing infrastructure for instance, health care for an aging generation and perhaps on a revolutionary new idea called UBI – Universal Basic Income. If more and more workers are going to be displaced by robots, then they will need money to live on, will they not? And if that strikes you as a form of socialism, I would suggest we get used to it. Within hours, Mr. Gross’ proclamations led to a proliferation of news stories on basic income – including reports in Reuters, Wall Street Journal, Forbes, and CNN Money, to mention only a few. 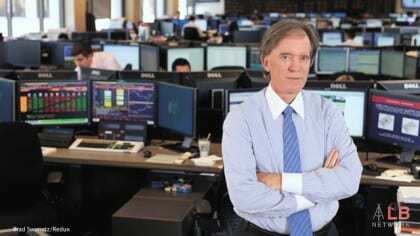 Imagine a young Bill Gross, offered a basic income, free of the constraints of needing to earn a living. Would he still have become an obsessive bond manager? Yes of course he would have, come on. Gross has been open about the fact that he’s not in bond investing for the money; he’s in it for the fame. And there is no universal basic income of fame, though I guess Twitter is getting us pretty close. To be fair, Udland probably penned this criticism before he had chance to the read David Calnitsky’s article in the Canadian Journal of Sociology, “‘More Normal than Welfare”: The Mincome Experiment, Stigma, and Community Experience,” reported upon in Basic Income News last week. Calnitsky’s article provides empirical support to what many have already expected: since it is given to everyone — “obscuring the distinctions between the ‘deserving’ and ‘undeserving’ poor,” as Calnitsky writes — a basic income should substantially diminish the stigma associated with the receipt of government monies. Is basic income nonetheless too radical to be accepted in the States? At the very least, given the quickly burgeoning interest in the idea — and more and more prominent endorsements like that of Bill Gross — it seems premature to rule out its eventual widespread acceptance, which perhaps might happen sooner than we think. On one hand, we know central bank helicopter money creates inflation that shrinks the money in your wallet and causes prices to rise. This makes it harder for working families to make ends meet since there is no guarantee that wages will also rise in the same manner. In addition, every dollar of green-seal Federal Reserve Notes is legal tender that must be backed up by an equal amount of Treasury Security Debt, usually sold through Primary Dealer Banks to other countries by the FOMC. This increases the national debt and the amount of taxes that must be raised from taxpaying citizens to pay the annual interest expense. On the other hand, replacing green-seal Federal Reserve Notes with a greater amount of Red-Seal Treasury Notes tells a slightly different story. I read Mr Gross’ newsletter for investment advice, not redistribution philosophy. People get their esteem by producing or servicing something/someone thus I don’t see a need for UBI. And if college doesn’t teach you anything to get gainfully employed then I suspect you don’t need a college degree anyhow. In the 1960s, Dr. King and conservative economist Milton Friedman agreed on one thing: the need to implement a policy of the Basic Income. Dr. King wanted an immediate end to poverty, and Friedman wanted to save capitalism from its reckless instability, especially regarding the systemic undermining of consumer demand. In 1976, an Alaskan Governor created a Basic Income (Alaska’s Permanent Fund), which provides annual checks to residents from the interest earned on oil investments. The same could be done for the incipient renewable energy sector: Fund a Renewable Energy Public Dividend through feed-in tariffs. It’s not that hard if you really want it. By, the way, this idea is as old as the American Revolution: Thomas Paine was the first to suggest it in the 1790s, as a remedy for the imposition of the system of landed property (aristocracy). There is also the option of imposing a Maximum Income Tax on the rich. They have been looting the public’s assets and resources for decades now. They owe the public Reparations for damages. You know it’s true. He does make a fair point – it’s impossible to fight back what’s inevitable. As technology advances, a universal basic income is going to happen. We have a guarantee – THE CONSTITUTION! If you think you need anything besides FREEDOM! it’s time to find another country. Servitude for the poor is not freedom. It’s slavery, even if you do it by giving the rich the property rights to all the resources. Presumably you’re talking about the US constitution, nothing in it prohibits Basic Income. A Basic Income is inevitable yes, however is will be funded by taxing ownership claims. If one claims ownership of a resource they are precluding others use of it, and yet they did not create the world or our resources, therefore they will be compelled to compensate the rest of us for the resource they now monopolize. Further in a effort to rebalance the gross wealth inequity the failed monopolistic corporate capitalism has left us in, all income over a million will be taxed at 90%. A world this far out of balance is not sustainable, or free.